Modern Greeks learn to admire them so much in school that the Fathers turn into performers on the stage who dance to the music of Plato and Aristotle. How else, other than by being followers of the ancient Greeks, could the Fathers have become great Fathers in the eyes of modern Greeks? In Greece, the sole criterion for greatness is if something comes from ancient Greece. This is also why the feast of the Three Hierarchs has taken on the particular form it has taken in Greece, portraying the Three Hierarchs as a continuation of the great Hellenic spirit of ancient Greece. 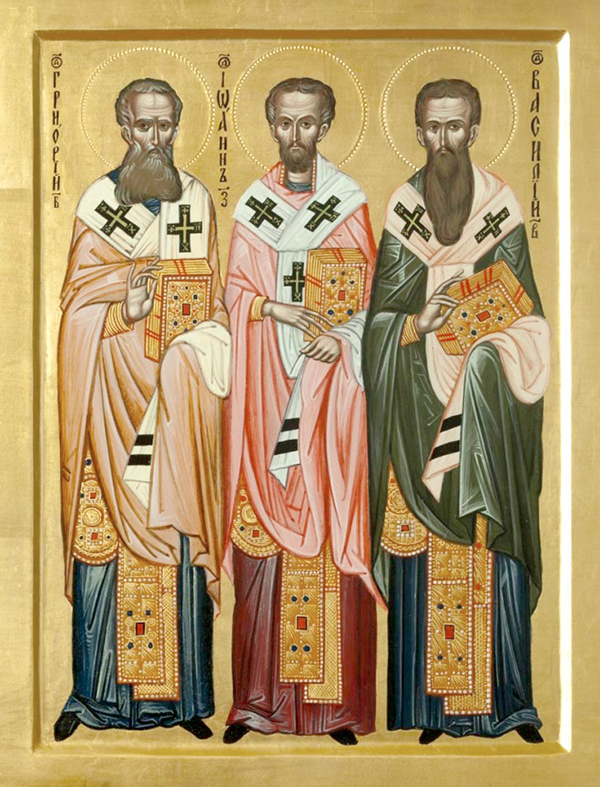 But if you read the Three Hierarchs, and above all St. Chrysostom, you will see that St. John Chrysostom consistently ridicules the ancient Greeks. He is renowned for deriding them. As far as St. Chrysostom is concerned, the word 'Hellene,' which ended up meaning idolater, is nothing more than an insult. Basil the Great and Gregory the Theologian do not lag far behind him for that matter, but as Cappadocians, they belonged to another tradition. From Patristic Theology: The University Lectures of Fr. John Romanides, Pt. 1, Ch. 16.